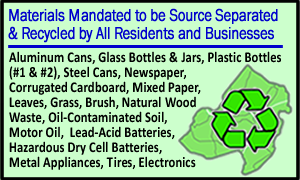 The MCMUA owns and operates two vegetative waste recycling facilities, one in Parsippany and the other in Mount Olive for the recycling of leaves, grass, and brush. These facilities accept natural vegetative waste from contracting municipalities, contractors, and landscapers. 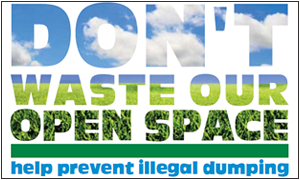 Residents are not permitted to come into either of our sites to drop off vegetative waste. Residents needing to recycle vegetative waste are encouraged to check what services their municipality provide or utilize services from local recycling markets. Businesses must first FILL OUT AN APPLICATION FOR APPROVAL prior to using the MCMUA facilities. Composting Process - Leaves are ground and placed with grass into windrows in the fall as they are received. During the winter and the spring, the windrows are turned frequently by a windrow-turning machine to provide oxygen to hasten decomposition. As a result, the leaves and grass quickly turn into a black compost, making them an ideal soil additive. The resulting compost is sold to residents, landscapers, and commercial companies, who mix it with soil to produce topsoil. Mulch Process - Tree parts and brush are placed through a wood grinder twice to produce a fine wood mulch end prooduct. The double ground wood mulch is sold to residents, landscapers, and garden centers for use as ground cover around shrubs, trees, etc. 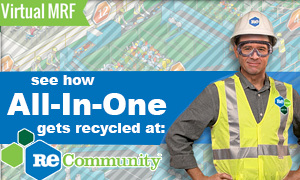 On-site personnel are not available during the lunch hour and commercial contractors are not permitted to enter facilities between noon and 1:00 p.m.
Compost Facility Rules and Regs. 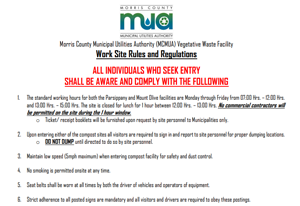 Compost Facility Rules - Click here for a PDF copy of the MCMUA's rules and regulations regarding use of the vegetative waste facilities. 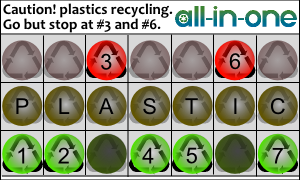 Prior to using any of the the vegetative waste facilities, please print these rules, sign and send the MCMUA a copy of the signed document indicating that the rules have been read and understood. Additionally, please maintain a copy of these rules in all vehicles accessing the MCMUA's vegetative waste sites. Compliance with these rules is mandated and appreciated. 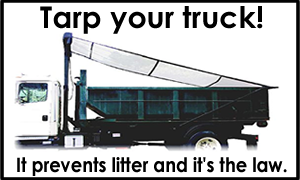 Dump/material tickets are available at each individual compost facility, and all commercial entities (landscapers, contractors, etc.) 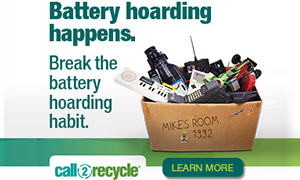 must pay in full by check (no cash or credit cards accepted) at the time of dumping or purchasing materials. Additionally, a weekly blank check may be left with the MCMUA to pay for one week's worth of dumping using the weekly blank check. Q. Who may order a delivery? A. Deliveries of mulch and compost by truck are available only to homes located in Morris County that have paved area on which to dump the material. Q. Can you guarantee a specific delivery time? A. Unfortunately, we cannot guarantee any specific delivery time. Our drivers arrange their own delivery schedules, and many variables affect the day's deliveries, including traffic, weather, and the locations of that day's deliveries. We may indicate that someone prefers an a.m. or p.m. delivery, but we cannot guarantee morning or afternoon delivery. Q. How can I order wood mulch or screened compost? To place an order for home delivery please call either the dedicated compost delivery appointment line at (973) 285-8389 or main office line (973) 285-8383 to place your order and appointment. Weather permitting, appointments for deliveries of both unscreened compost and double ground wood mulch will be taken from the first week of March through the last week of November. Deliveries are for Morris County residents only and occur from approximately 6:30 a.m. to 2:30 p.m. Deliveries are not scheduled on major holidays. A. Payment are made by leaving a check for the full amount in a location at the exterior of your home that is accessible to the driver. Typically the check is taped to the front door or garage where the material is dumped but the location will be discussed when you place your order. If a check for the full amount is not left on the day of delivery, the material will not be dumped. Q. Will I be notified/reminded the day before my delivery? 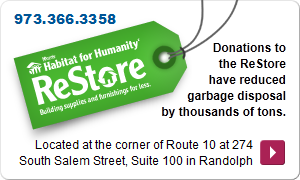 1) Put out a tarp, sign, or marker designating the delivery dump site. 2) Leave your check for payment at the location designated at the time the delivery appointment was scheduled. The reasons compost or mulch are not left on scheduled days are because the driver cannot determine where to dump the load, the driver does not have proper access to a driveway or dumping location, and/or there was no check left for payment. Orders can be canceled up to 48 hours in advance. Please note that if you do not cancel an order and a driver shows at your residence, you will be billed for the full amount of the material ordered. Q. Can I leave a message regarding my order after hours? A. No. If you need to change or cancel an order, you must call the MCMUA and speak directly with a representative. We cannot accept responsibility for any messages left on the MCMUA's voice mail system. Thank you for your understanding and cooperation. Q. What is screened compost? A. Screened compost consists of leaves that break down (decompose) over a period of months. After autumn leaves are deposited at our recycling facilities, they are turned weekly and are broken down by April/May into a black, crumbly soil amendment known as compost. The material is then screened in a large screener, and bulky materials including large sticks, twigs, etc., are removed and a finer, finished compost is produced. Q. What are the benefits of compost? A. Compost helps plants grow better, improves soil structure, helps the soil retain water, helps release plant nutrients and adds vital organic matter to the soil. Q. What is double-ground wood mulch? A. Double-ground wood mulch consists of tree parts, branches, brush and wood chips. Brush and tree parts are processed once and then mixed with wood chips for a second grind resulting in a more finely ground mulch. Q. What are the benefits of wood mulch? A. Wood mulch is used around trees, shrubs, landscape plants, and flower beds to help reduce weeds, conserve moisture and enhance the natural beauty of the landscape. Wood mulch breaks down slowly and adds organic matter to the soil. Generally, a mulch layer of two to four inches will reduce weeds, conserve moisture, and increase the attractiveness around shrubs and trees. When mulching around trees, remember to keep mulch approximately six inches from the trees trunk. Q. Approximately how many square feet will ground-wood mulch cover at different depths? Q. Where are the vegetative waste facilities for residential pickup of mulch and compost? A. Our Parsippany facility is behind the Morris County Public Safety Training Academy at 500 West Hanover Avenue, Parsippany 07054. Click here for directions. Our Mount Olive facility is off Waterloo Valley Road in the International Trade Zone in Mount Olive. Click here for directions. The MCMUA makes available unscreened compost and double ground wood mulch for Morris County residents free of charge from piles located at the entrance of each site. 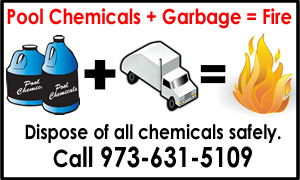 Morris County residents may take FREE of charge a maximum of 2 Cubic Yards of each product per household. Both locations are under video surveillance to minimize abuse of these piles and prevent illegal dumping. 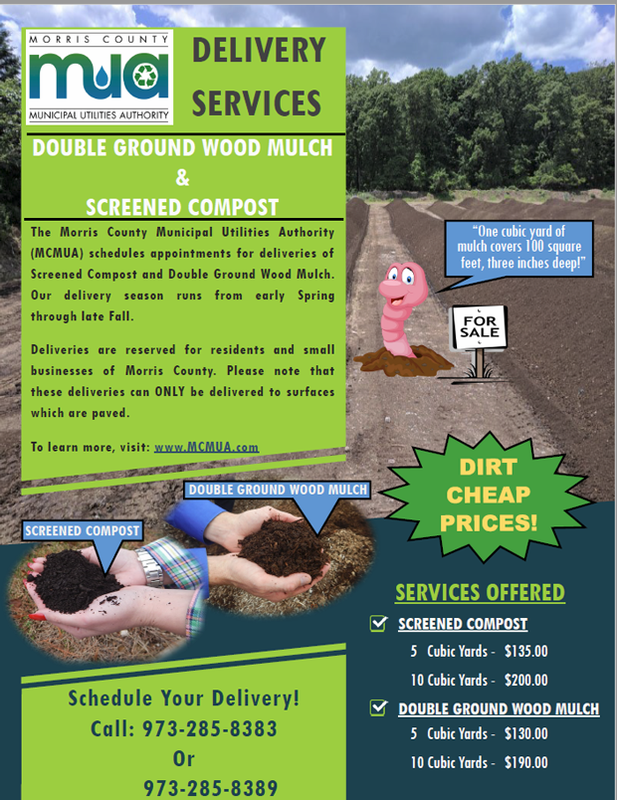 For residents seeking larger quantities, The MCMUA sells and delivers truckload quantities of screened compost and double ground wood mulch to Morris County residents from early spring to late fall. Both products of unscreened compost and double ground wood mulch can be delivered in quantities of 5 Cubic Yards and 10 Cubic Yards for each product and pricing for each can be found below for these large home delivery quantities. Commercial businesses are NOT permitted to take material from the piles of wood mulch or unscreened compost at either site. Businesses may purchase these materials in bulk from the MCMUA. Q. 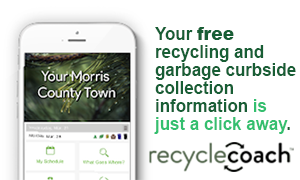 Are Morris County residents permitted to dump at these facilities? The MCMUA vegetative waste recycling facilities are not open to the general public for recycling of leaves, grass, brush, or wood chips. They are open only to pre-approved contractors and municipalities. Please DO NOT enter these facilities. Heavy equipment operates daily and objects that enter a grinder, screener or compost windrow turner can be ejected with tremendous force over long distances. 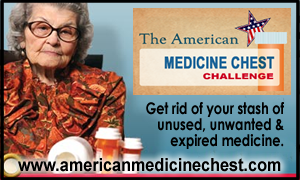 If you have a question, comment, or concern, call 973-631-5109. PLEASE DO NOT ENTER THESE FACILITIES UNDER ANY CIRCUMSTANCES WHATSOEVER. 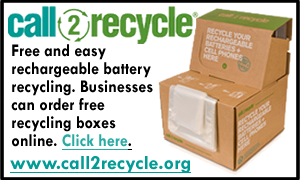 Call 973-631-5109 for updates on drop-off conditions or product availability. All commercial businesses must be pre-registered with the MCMUA before being allowed to dump or pick-up material. All transactions require a valid disposal or pickup ticket. Q. What are the insurance requirements to use the MCMUA compost facilities? A. The MCMUA compost facilities have the same vehicle and worker's compensation insurance requirements as those for the MCMUA transfer stations. Click here to view these insurance requirements. Vehicles may not enter the MCMUA compost facilities without first providing proof of insurance coverage in the form of valid certificates of insurance. Q. Is the compost tested? A. 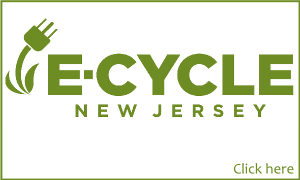 Composite samples are taken from representative windrows at our two facilities in the spring and are tested for specific parameters specified by the New Jersey Department of Environmental Protection. The test results are submitted to the state DEP. Upon request, this information is made available to the public. Q. Where are the facilities located for dropping off and purchasing bulk material? A. Our Parsippany facility is behind the Morris County Public Safety Training Academy at 500 West Hanover Avenue, Parsippany 07054. Click here for directions. Our Mount Olive facility is off Waterloo Valley Road in the International Trade Zone in Mount Olive. Click here for directions. 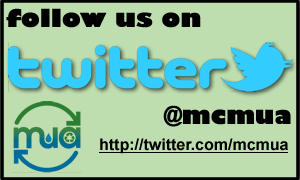 Insurance: Click here to view the insurance requirements in order to enter the MCMUA compost facilities. Ticket books used for municipalities dropping off vegetative waste are avaialable at either facility during operating hours. Note: all transactions require a valid drop off ticket. 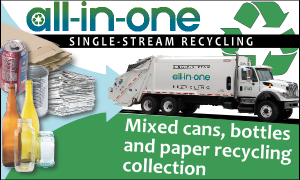 Vehicle Registration - All municipalities must be pre-registered with MCMUA before being allowed to drop off vegetative waste. If you will be using any vehicles that are new or different, please fax or e-mail a listing of the type of vehicle(s), license plate number(s), and their cubic yard capacities to the MCMUA at 973-285-8397 or info@mcmua.com.